Nick SpringettDating back to 1926, the former home of Lucy and Desi elegantly mixes Spanish architecture with contemporary finishes. The beds aren't pushed together, and Fred and Ethel don't live next door. 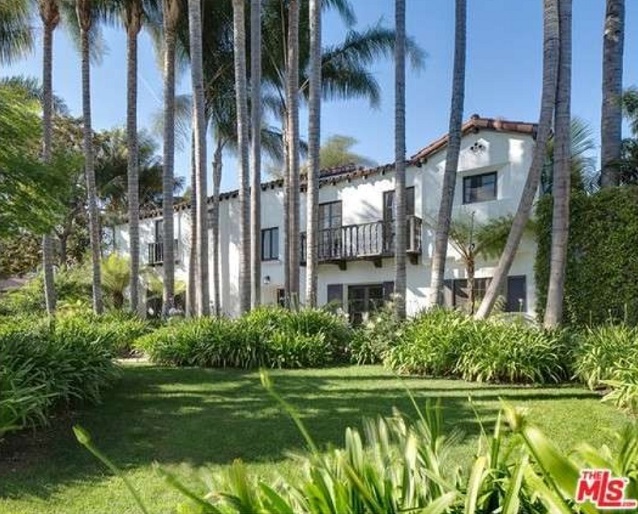 But according to The Agency, "I Love Lucy" stars Lucille Ball and Desi Arnaz lived in this Beverly Hills estate while their main residence down the street was being worked on. The home at 602 N. Roxbury Drive is currently on the market for $6.985 million, as first reported by The Los Angeles Times. Dating back to 1926, it elegantly mixes Spanish architecture with contemporary finishes. The main level features a formal entryway, step-down dining room, spacious living room and eat-in kitchen. French doors open to a trellised loggia/patio with a fireplace for outdoor entertaining. Ball was born in Jamestown, New York, and moved to Hollywood in the '30s to pursue her film career. In 1948, she was cast as the wife in "My Favorite Husband," a CBS radio program. Due to the show's success, it was developed for television as "I Love Lucy." Arnaz and Ball were married for 20 years, and Arnaz played Lucy's on-screen husband, Ricky Ricardo. In addition to living in the 90210 during their Hollywood days, the couple were known to have partied with Humphrey Bogart and Bob Hope at Walt Disney's Palm Desert retreat. Arnaz died at age 69 in 1986; Ball died three years later at age 77. Click here to see additional pictures.